The smell of baking cookies and yummy holiday cooking can be tempting for kids and adults alike, but kids might not know what kinds of fire dangers the kitchen can present. Here are some tips to keep your kids safe while you’re busy in the kitchen this holiday season! 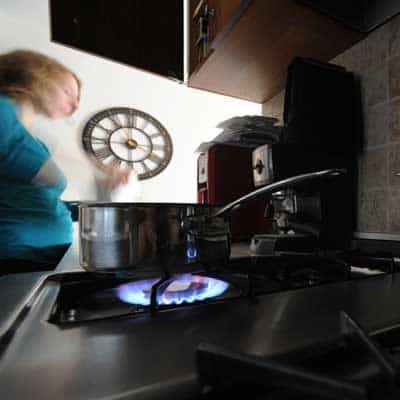 Enforce a kid-free zone of three feet around your stove. Kids love to reach, so use the back burners of your stove whenever possible. Make sure hot food is kept away from the edges of your counters. Turn pot and pan handles toward the back of the stove so you won’t knock them over by accident and so kids can’t reach them. Never carry or hold a child while cooking on the stove. If young children are interested in what you’re doing, move a high chair within reach so they can see what’s going on without being in harm’s way. If children are helping in the kitchen, make sure they’re not wearing anything that’s big or loose. Baggy sleeves and clothing can catch fire or get caught in equipment.